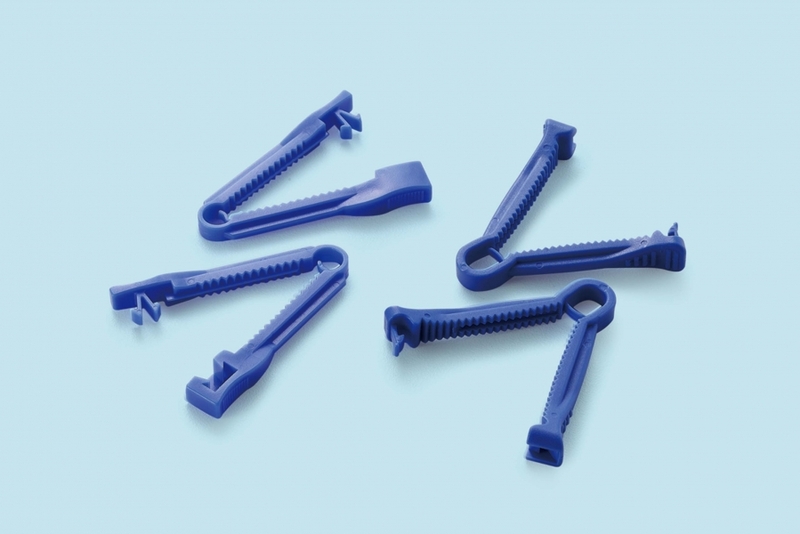 Umbilical Cord Clamp is designed for clamping the umbilical cord of newly born baby immediately after birth to prevent blood loss. Finger Grip facilitates convenient handling and safe locking of the clamp cord. Interlocking Teeth hold the cord securely to prevent slipping of the umbilical cord. Locking Click indicates the correct locking and protects accidental re-opening after clamping. EO Gas Sterile and Individually packed as ready-for-use.